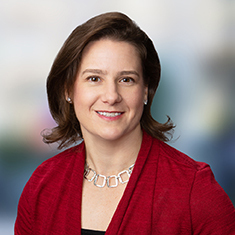 Lisa Prather focuses her practice on health care regulatory and compliance matters, mergers and acquisitions, corporate governance and other industry-related special projects. She advises health industry clients, such as hospital systems, physician groups (including nonprofit health organizations (NPHOs)), ambulatory surgery centers, home health providers and other health care professionals on how best to meet their business goals while staying ahead of the increasingly complex regulatory and compliance environment. She has particular experience in federal and state health care law compliance, including HIPAA, Stark Law, the Anti-Kickback Statute and corporate practice of medicine statutes. Before joining Katten, Lisa served as deputy general counsel to a nationwide system of hospital and physician group practices, where she oversaw operational, regulatory and compliance, transactional and corporate governance matters. Provision of compliance review and advice regarding more than 1,200 contracts for a group of ambulatory surgery centers and hospitals. Representation of investors and operators in the formation of 5.01(a)-type nonprofit health care organizations. Provision of health care regulatory advice for an acquisition which was later recognized as one of Dallas’ top health care deals of 2018. Assistance to a Dallas-based operator of freestanding emergency departments in the acquisition of additional freestanding emergency departments across the state. Provision of HIPAA compliance advice and training for hospitals, clinics, laboratories, pharmacies, and other health care providers and business associates.